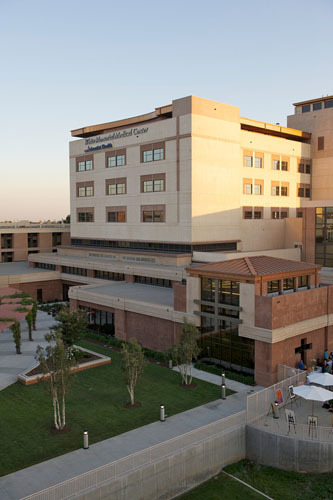 White Memorial Medical Center (WMMC) celebrated its 100th birthday last week during a low-key reception attended by many of its partners in the Los Angeles community. Located in Boyle Heights, White Memorial opened its doors to Los Angeles residents in September 1913 as a small medical clinic on 1st street, where medical students, with just two years of classroom experience used secondhand medical instruments to offer free care to patients. That small Seventh-day Adventist clinic is now a 353 beds hospital with an award-winning acute-care community and teaching hospital staffed by 462 physicians, 86 residents, 1,879 employees and nearly 700 volunteers. Hosted by the White Memorial Medical Center Community Leadership Council, the centennial celebration paid tribute to the hospital’s 100-year mission to provide health services in an underserved community, and to the many individuals and organizations that have partnered with White Memorial along the way. Supervisor Gloria Molina, one of the few speakers at the relaxed outdoor event, acknowledged the valuable role White Memorial has played in the community’s health and wellbeing, and marveled at how much it has grown over the years. Beth Zachary, WMMC President and CEO, thanked their partners, the leadership council, foundation board of directors and White Memorial’s dedicated doctors and staff for all their hard work on behalf of the hospital. September 19, 2013 Copyright © 2012 Eastern Group Publications, Inc.